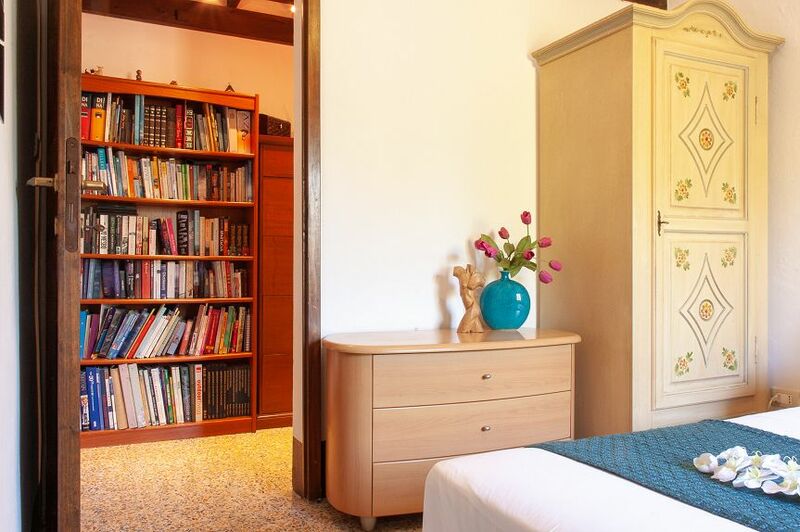 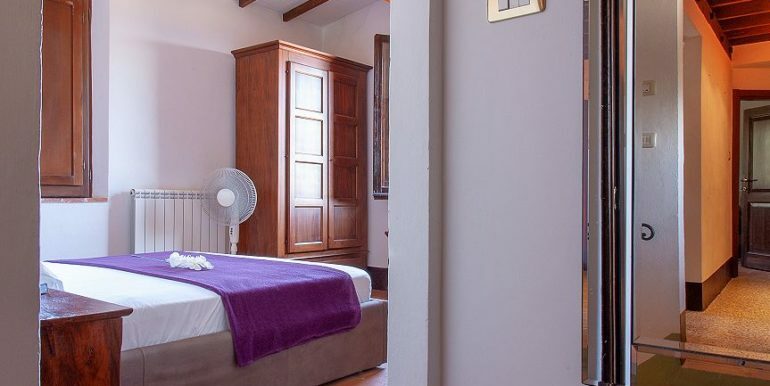 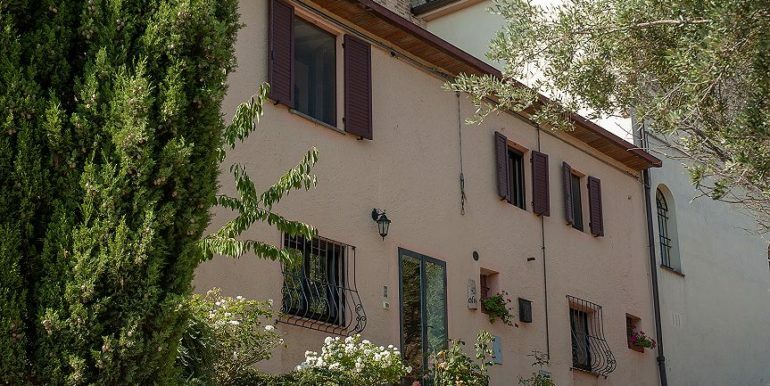 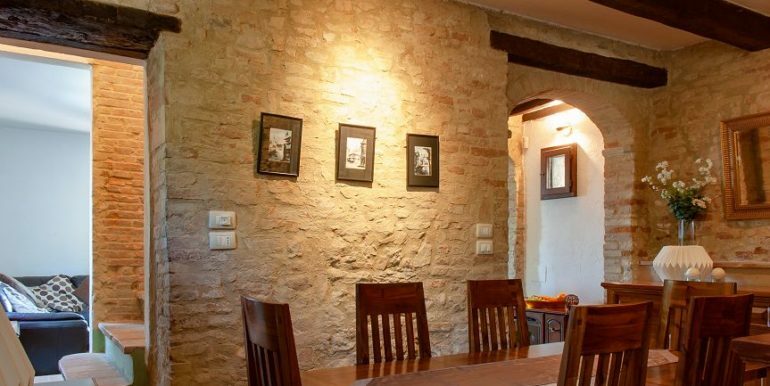 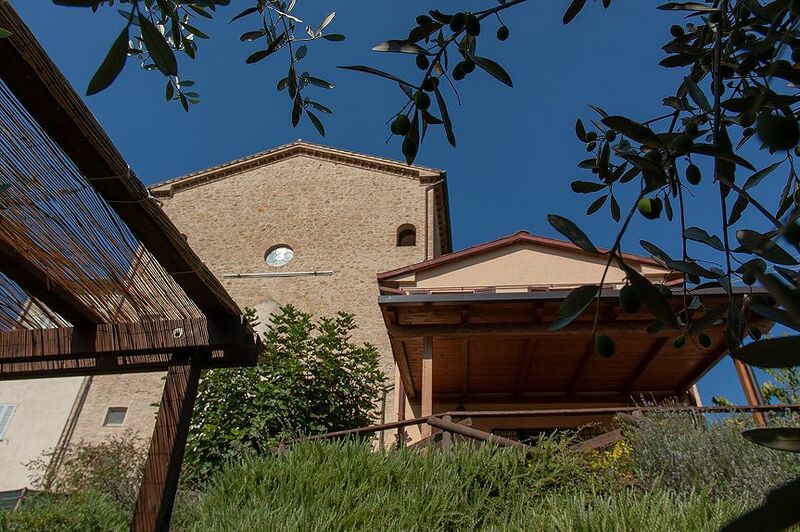 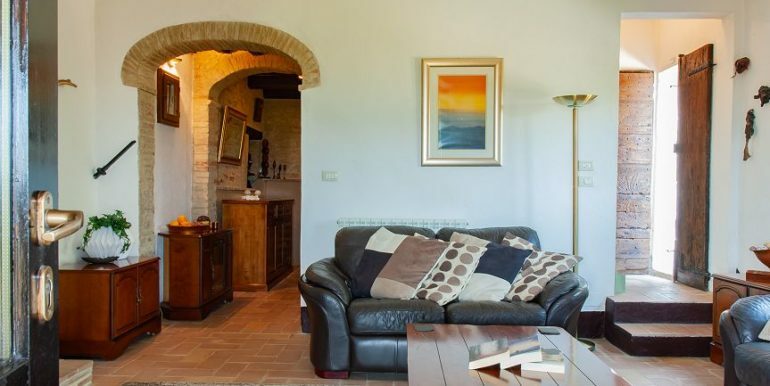 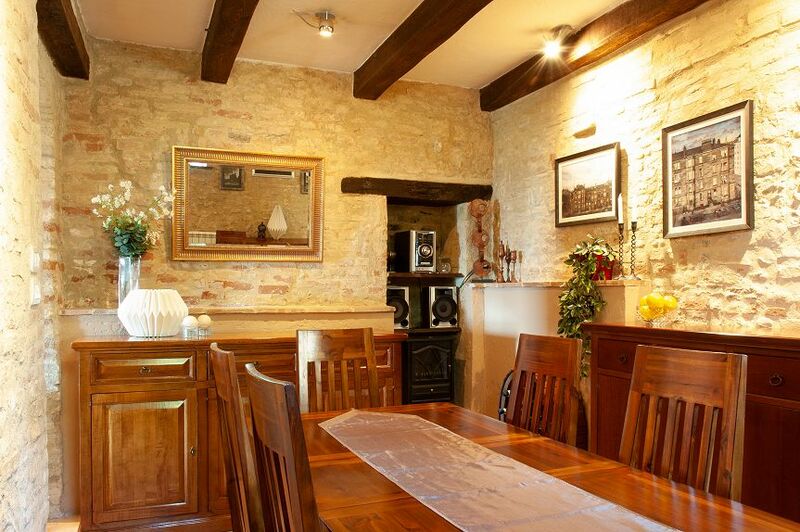 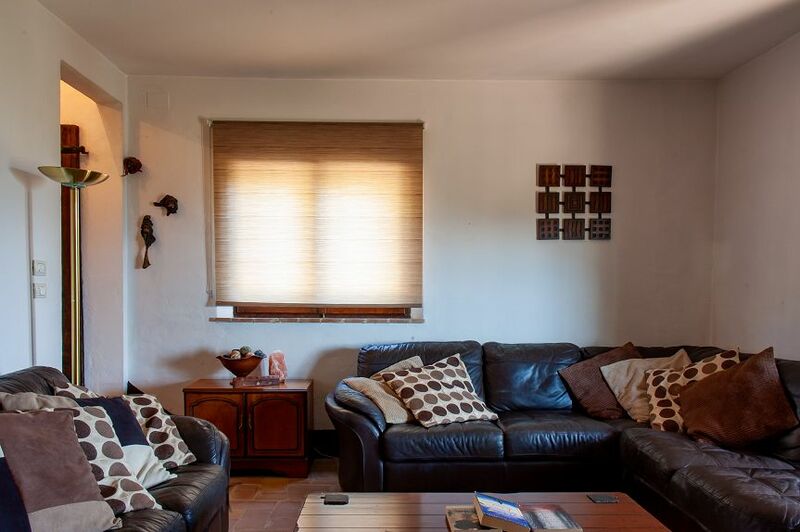 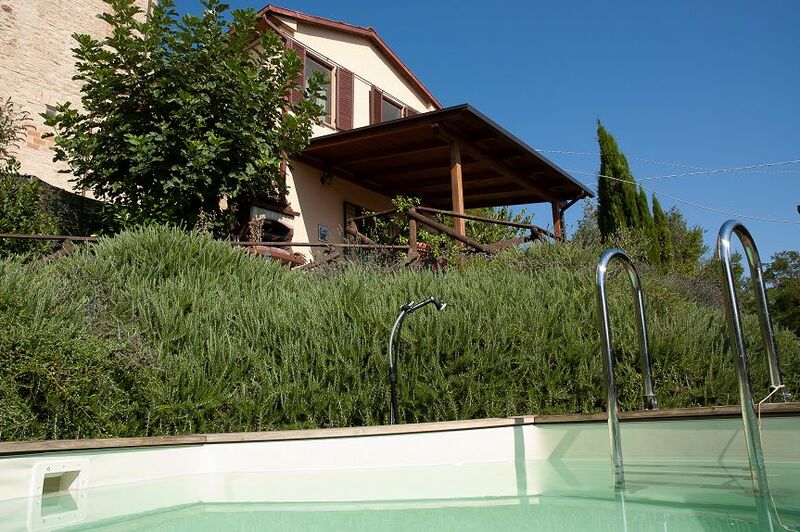 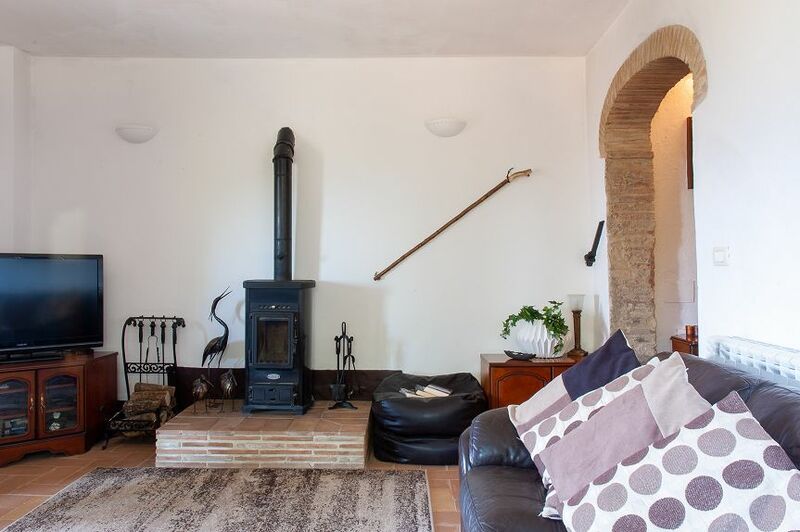 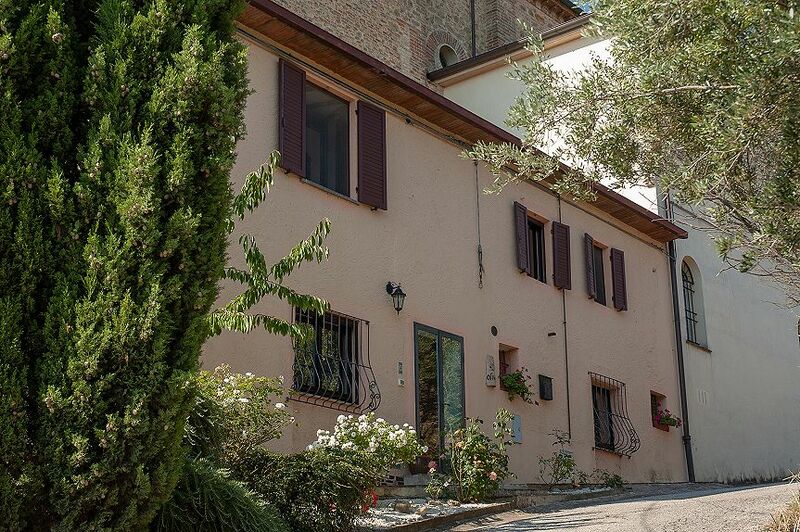 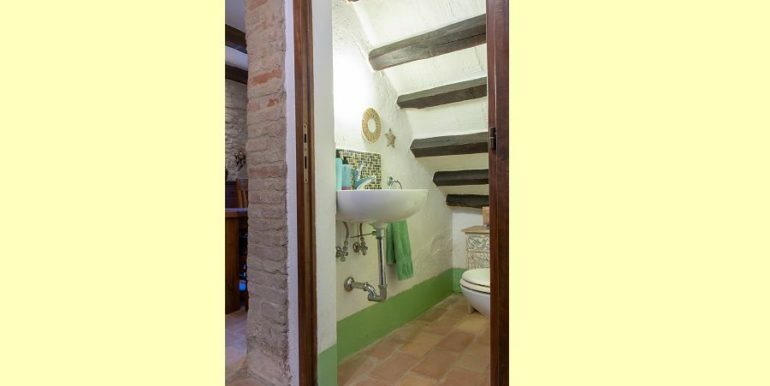 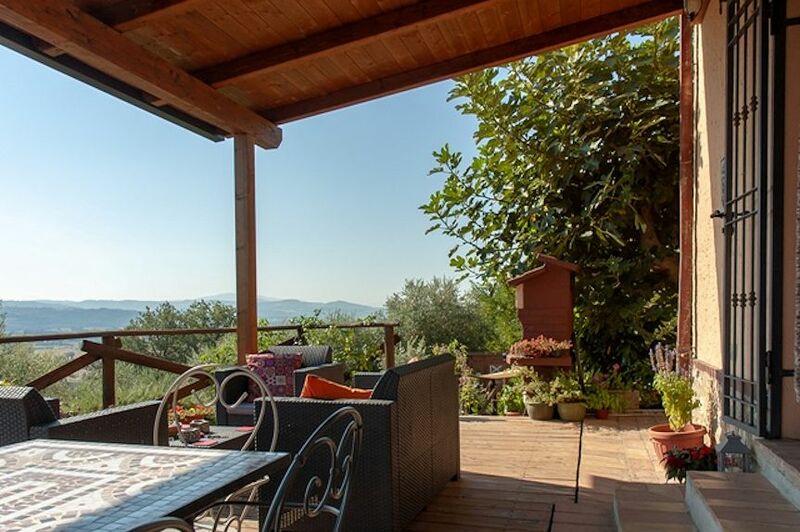 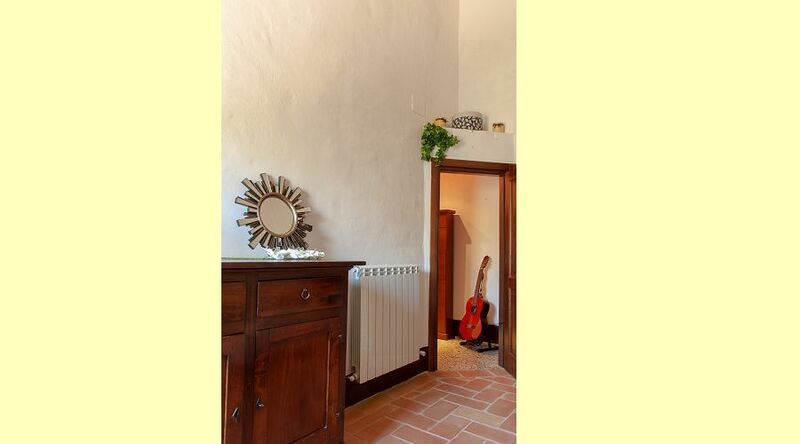 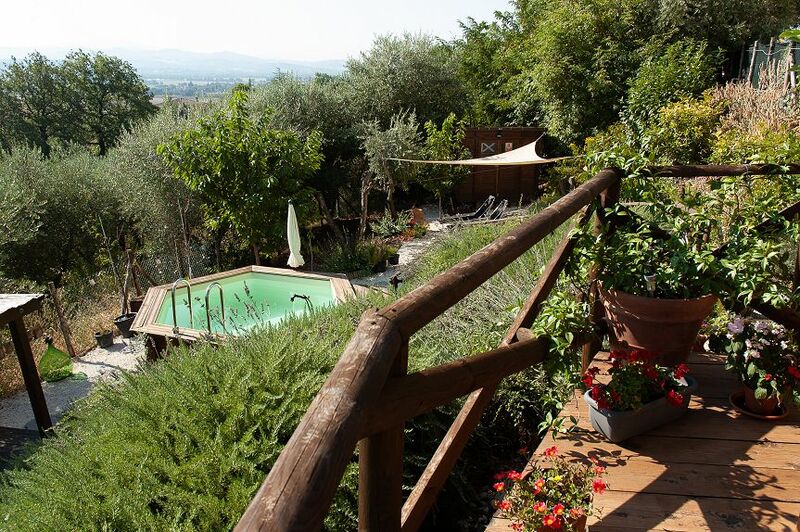 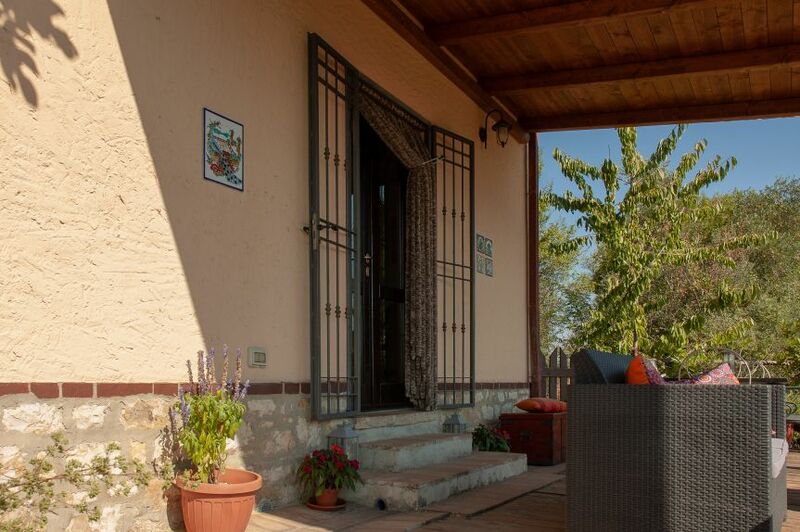 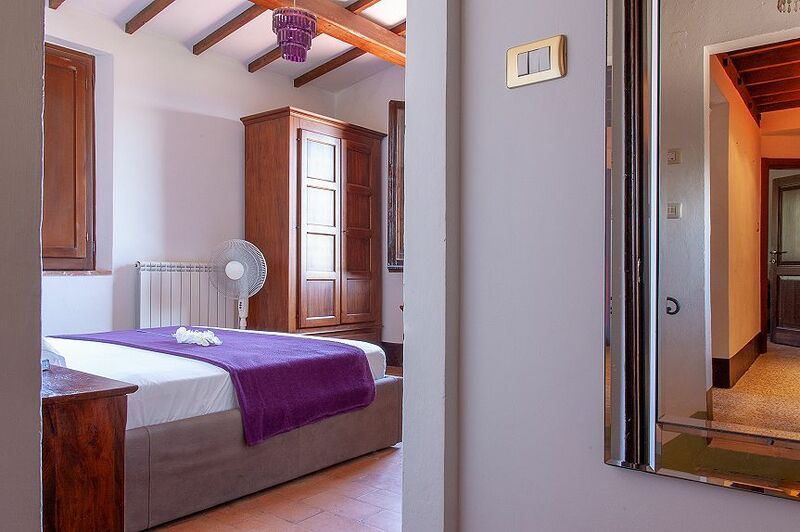 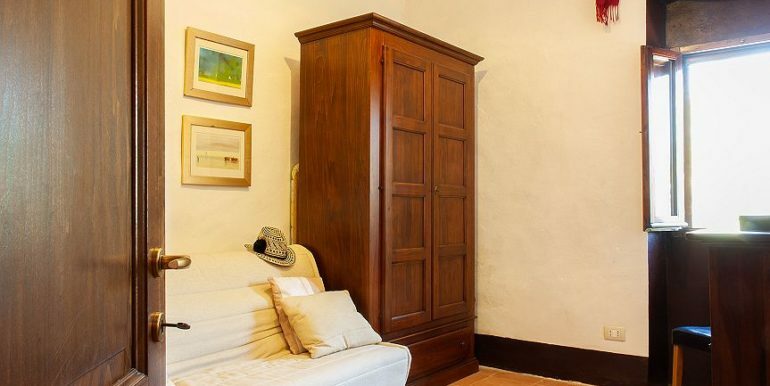 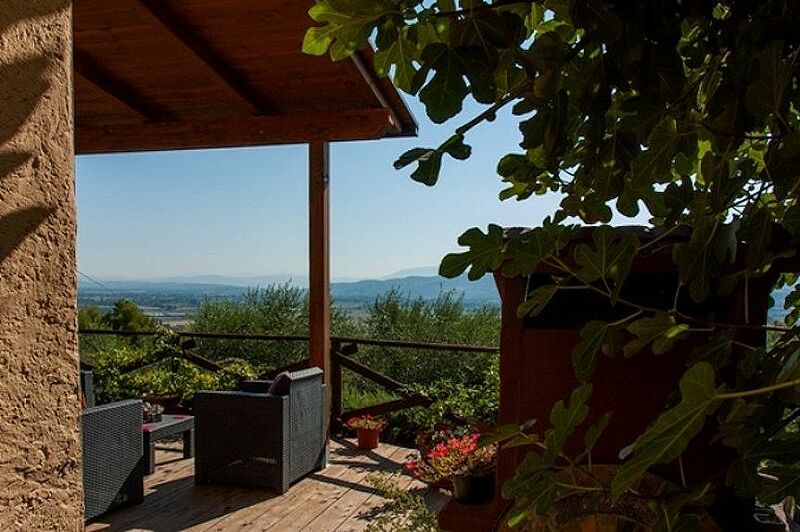 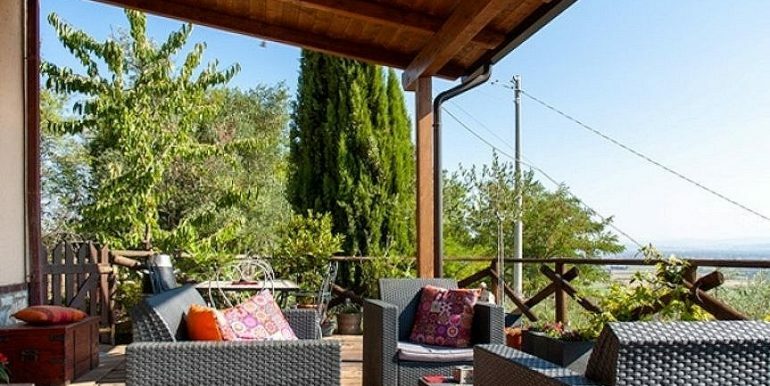 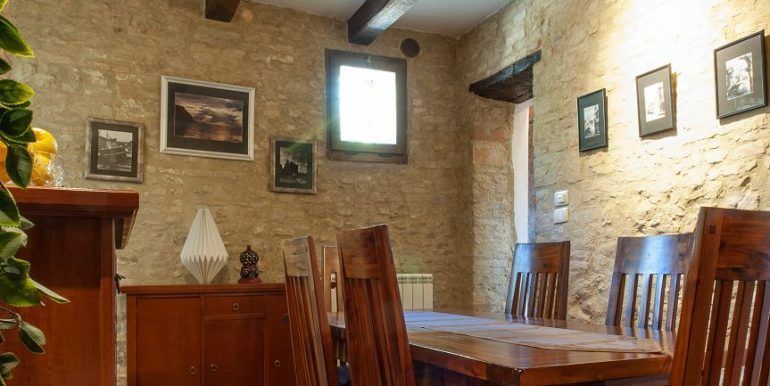 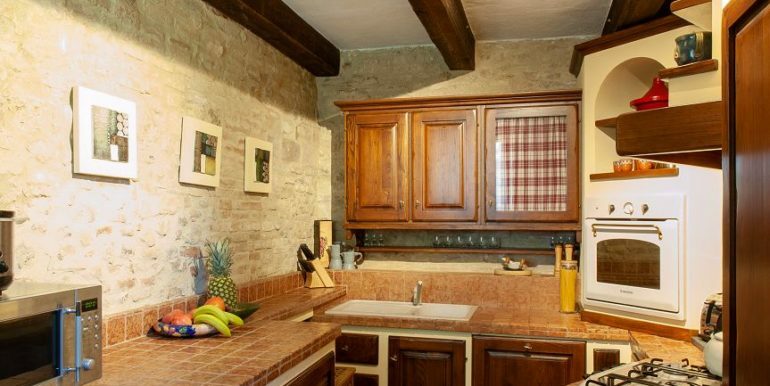 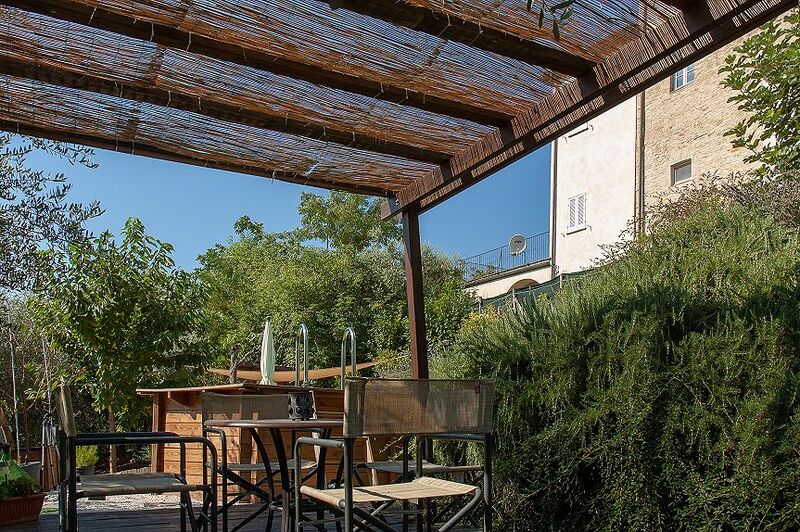 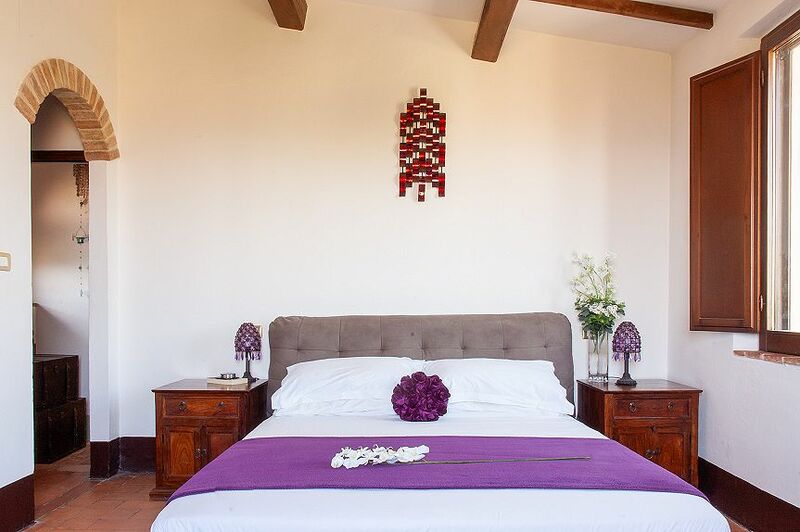 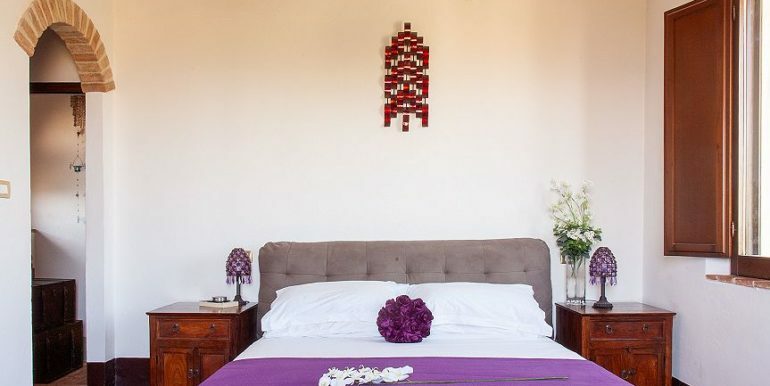 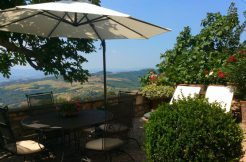 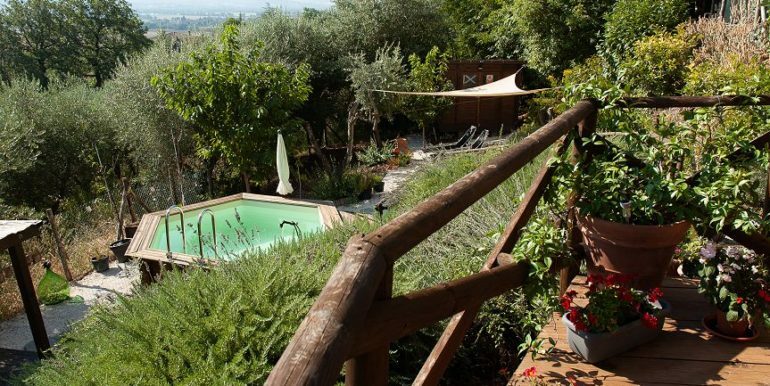 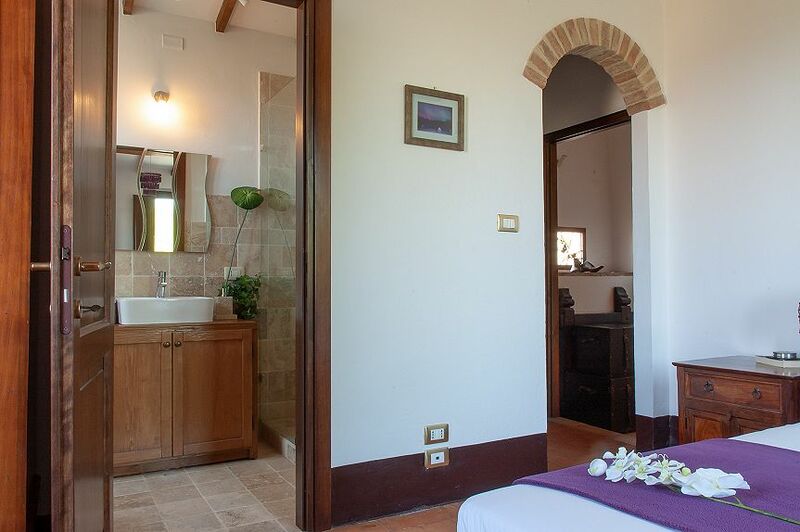 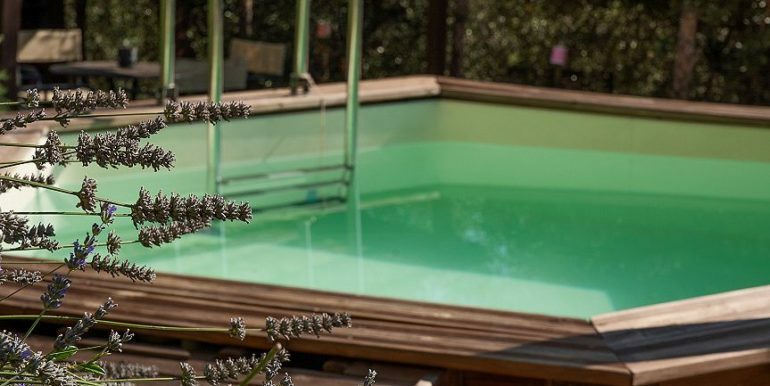 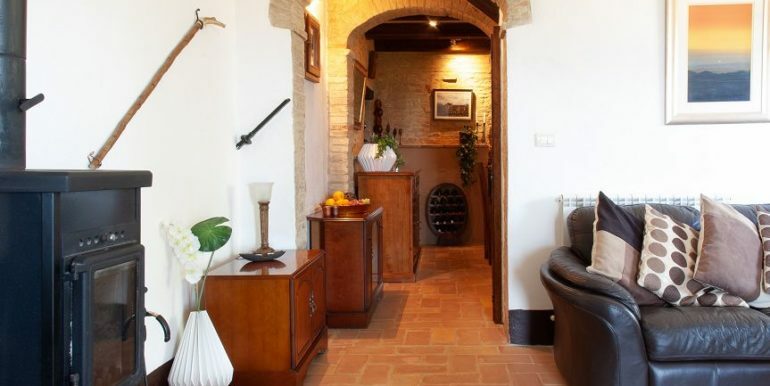 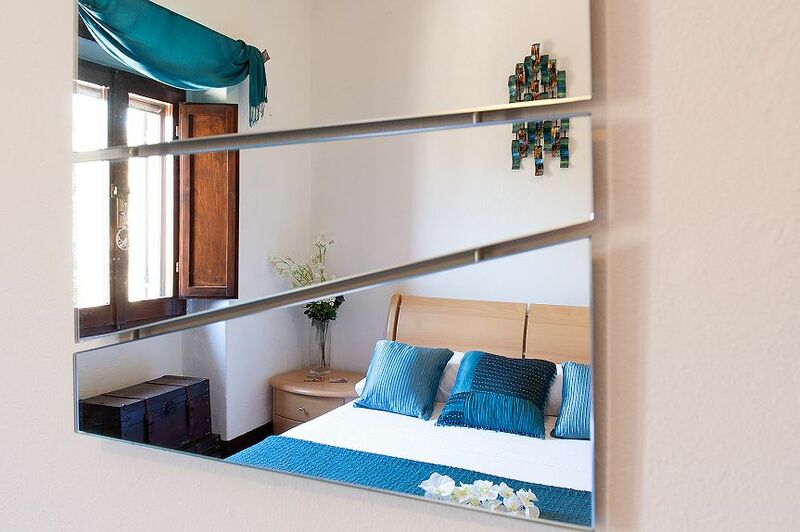 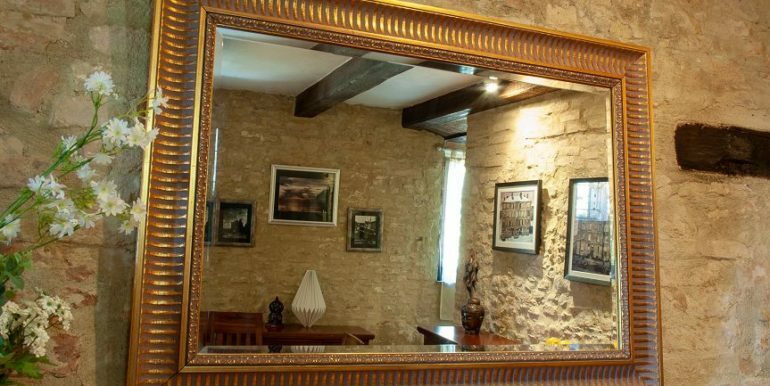 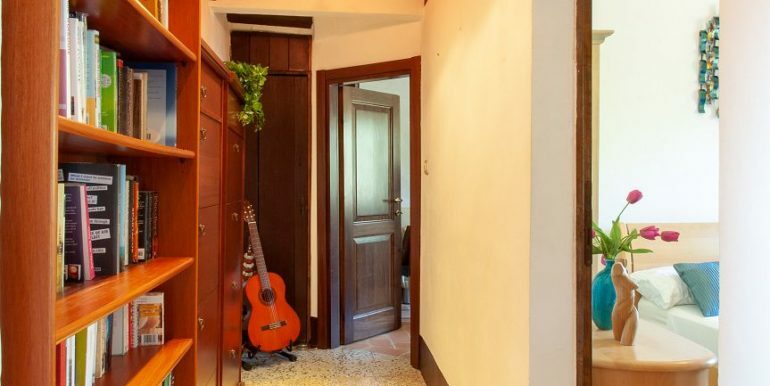 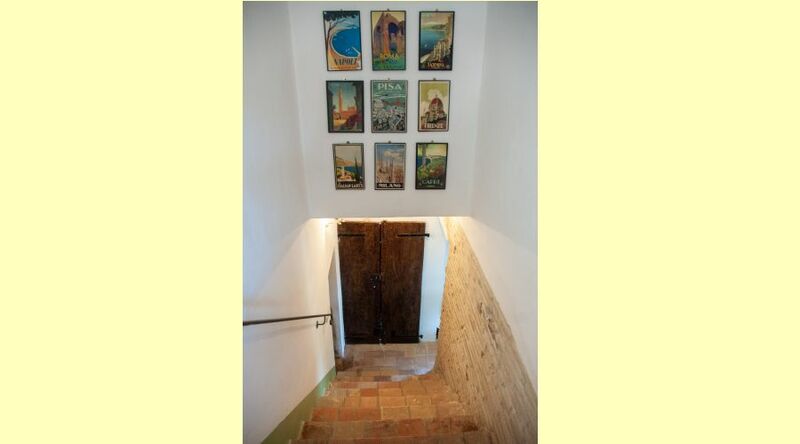 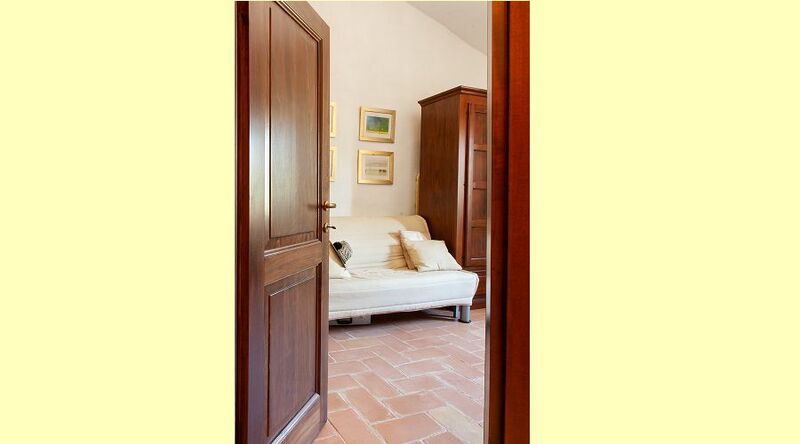 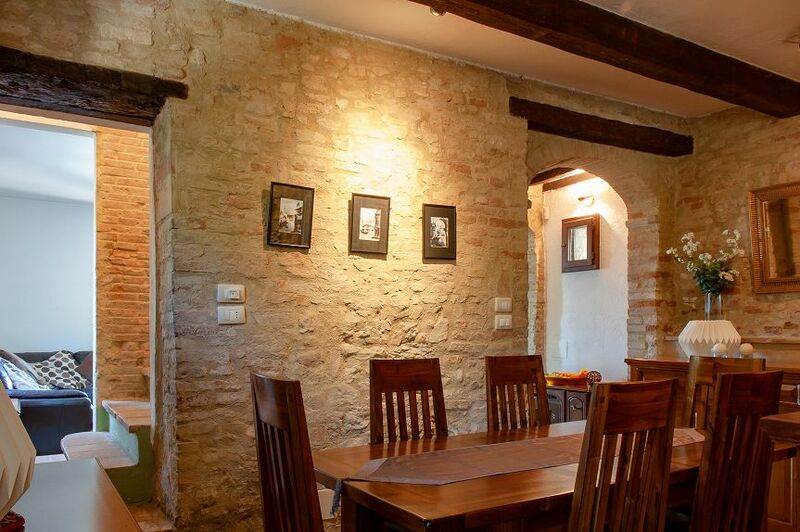 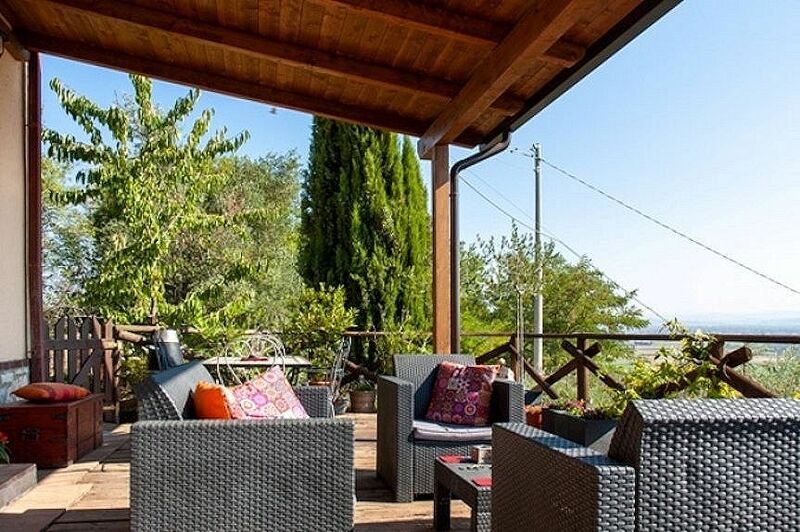 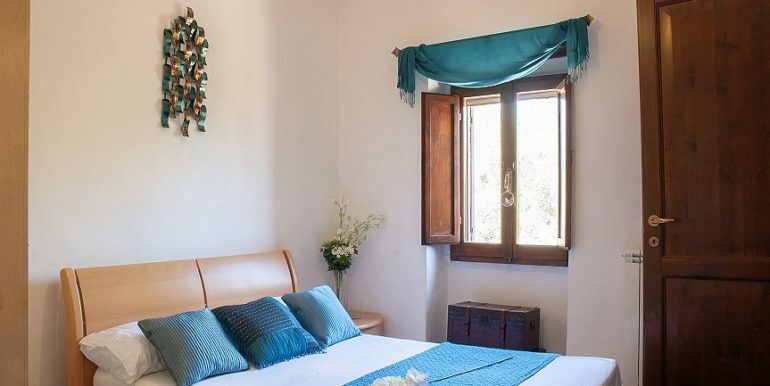 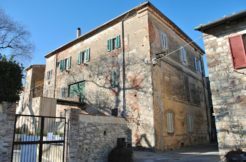 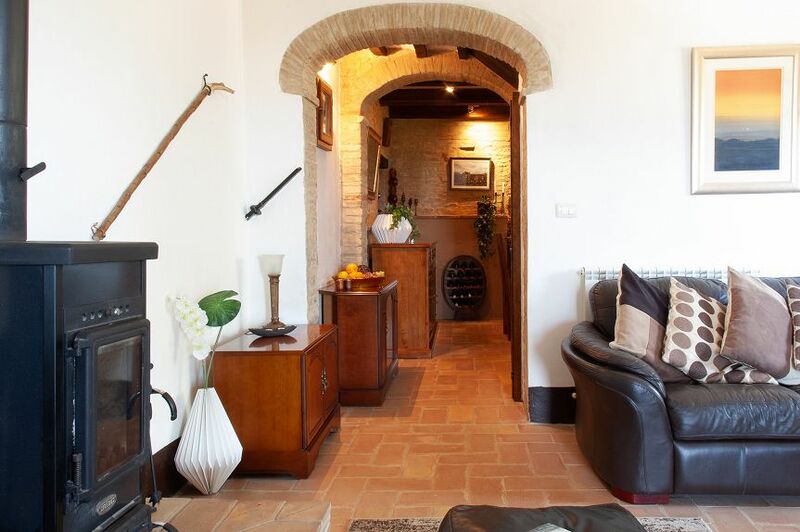 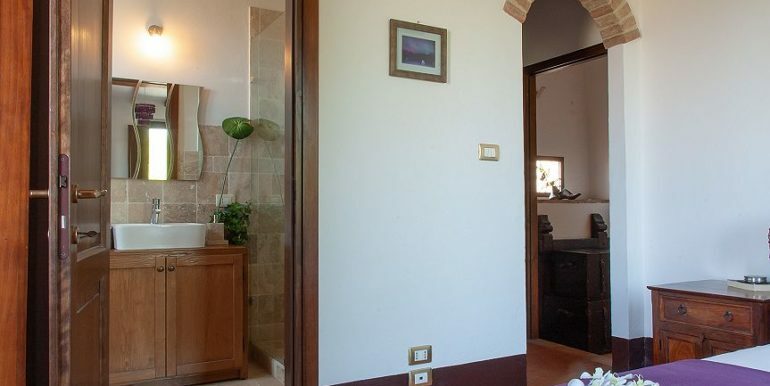 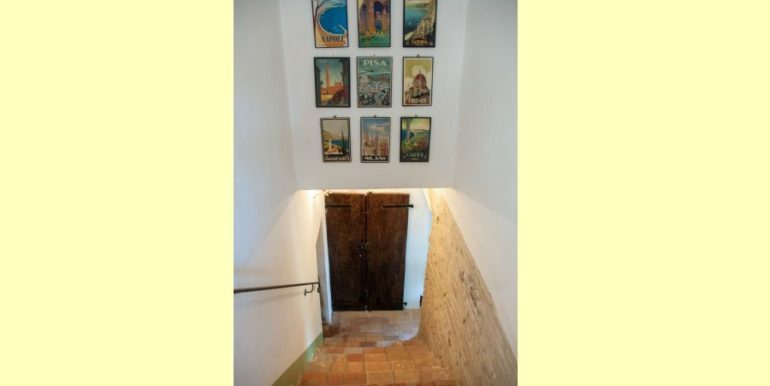 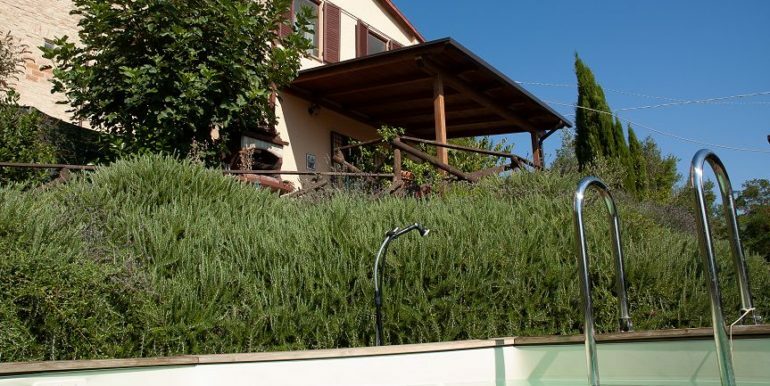 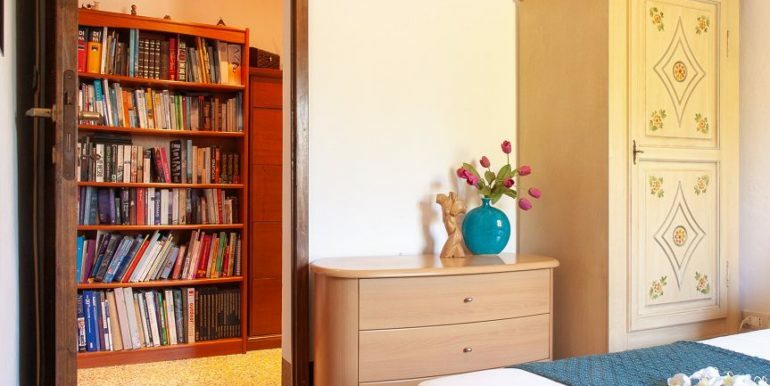 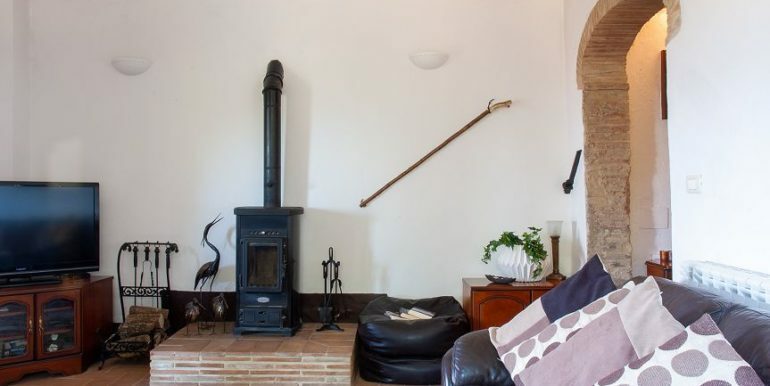 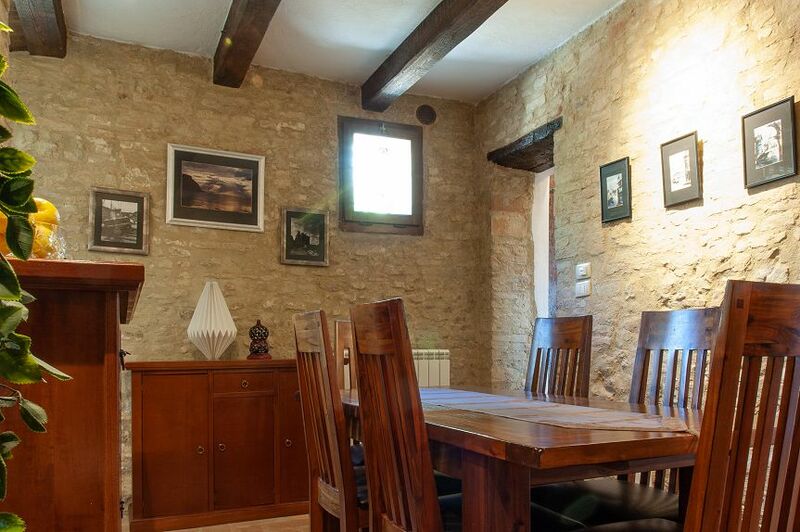 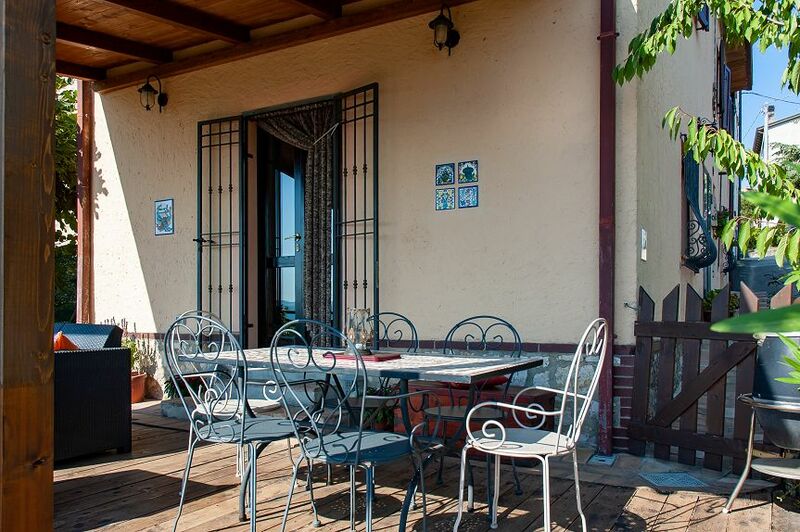 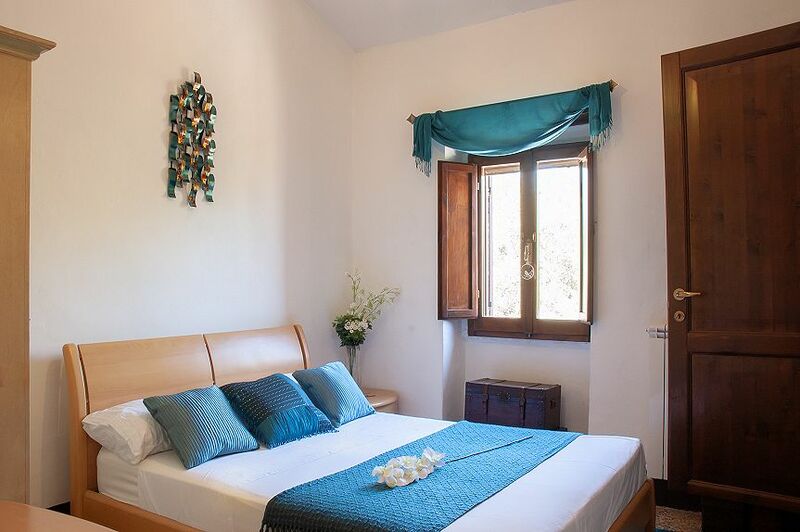 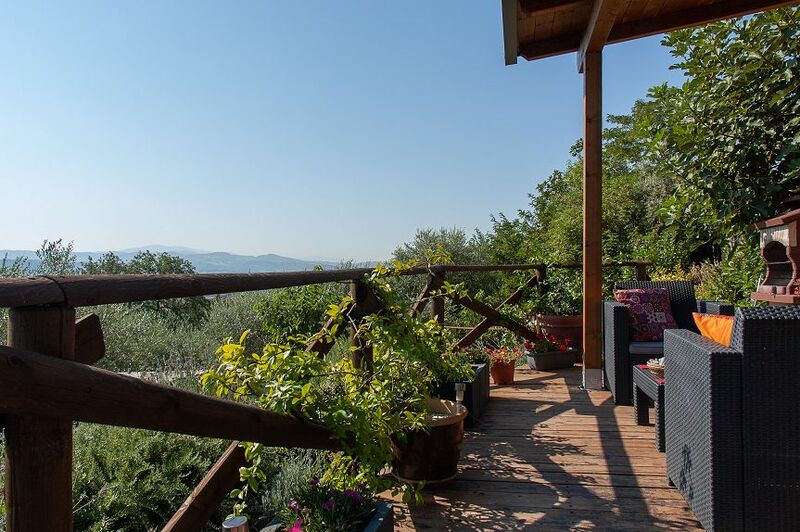 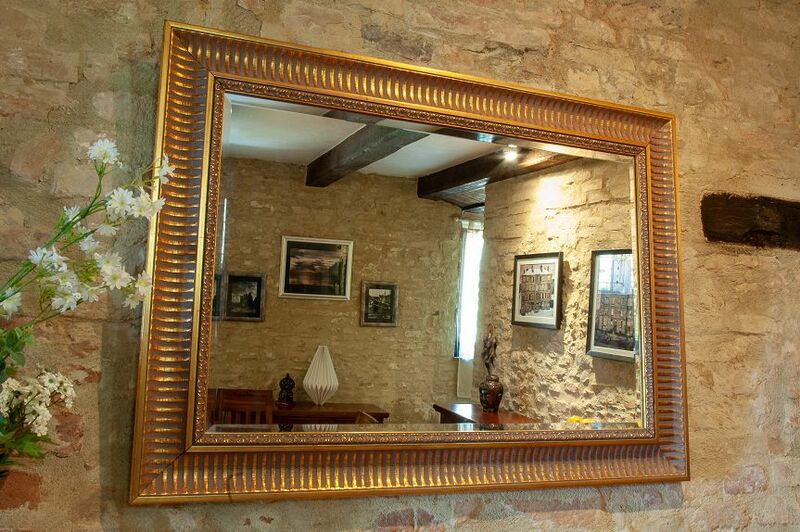 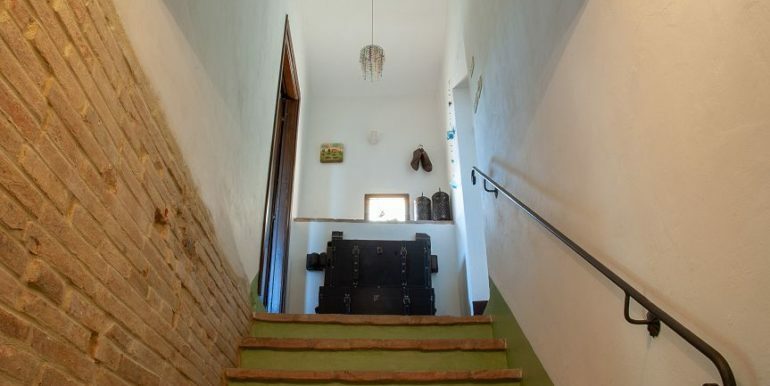 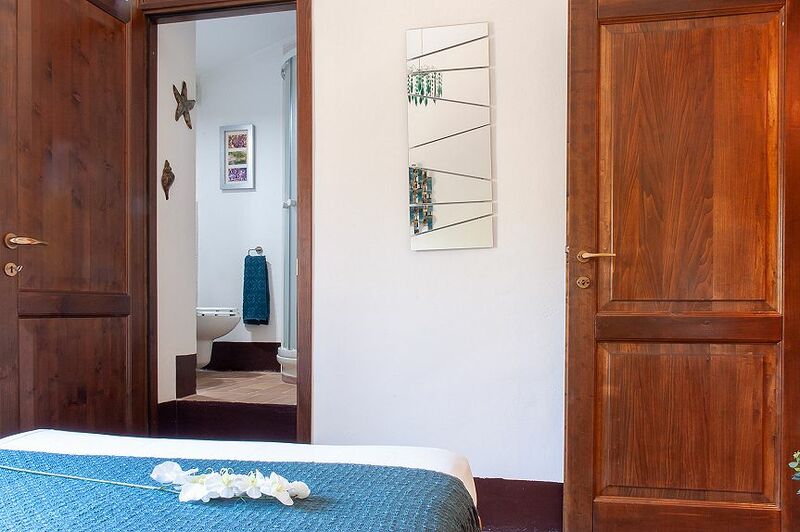 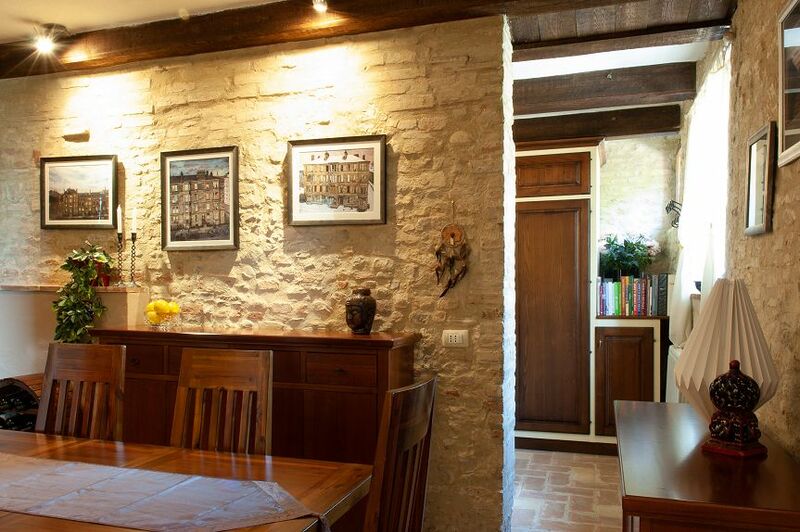 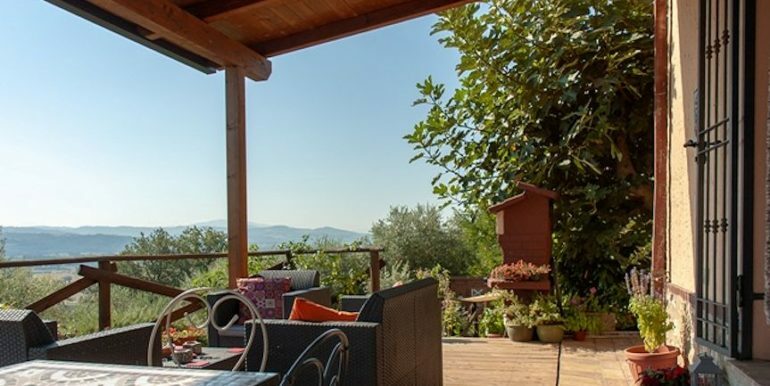 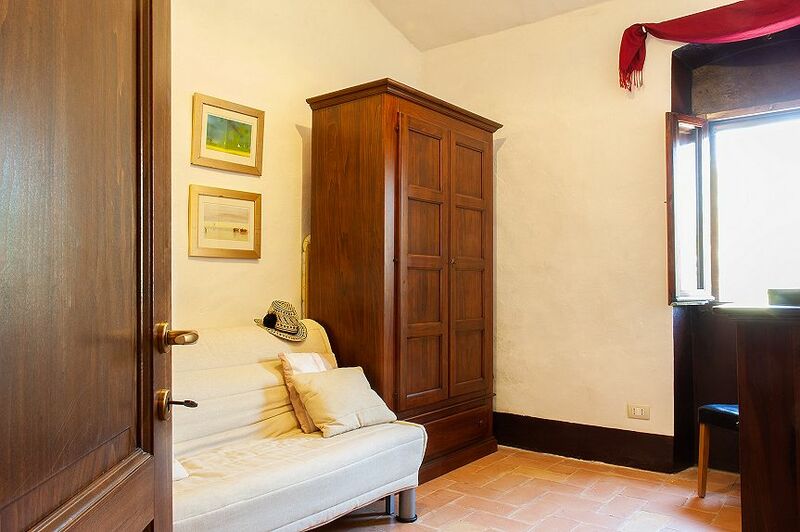 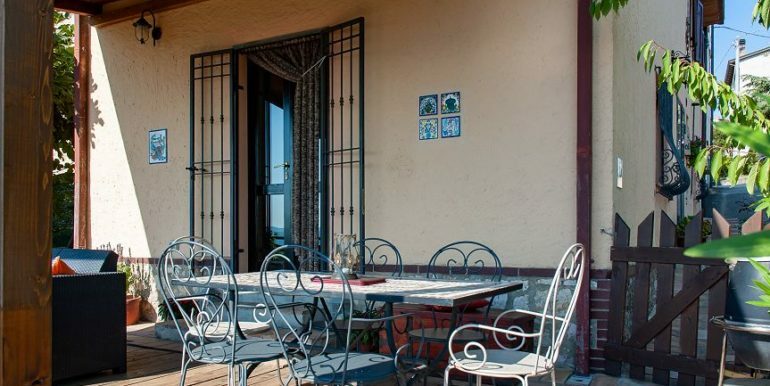 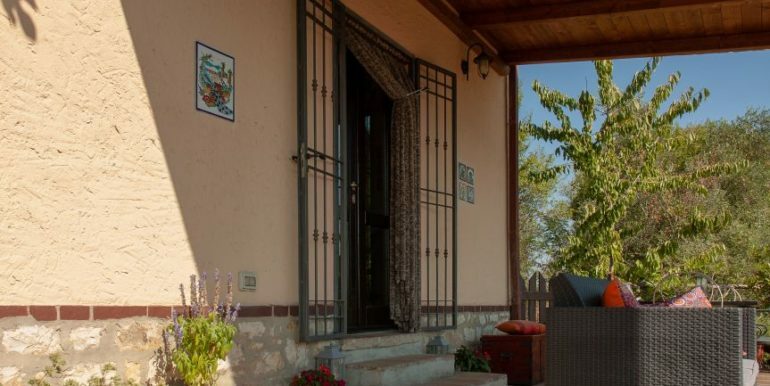 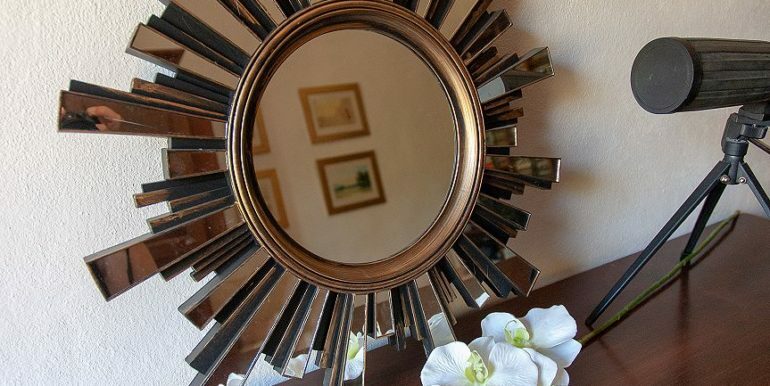 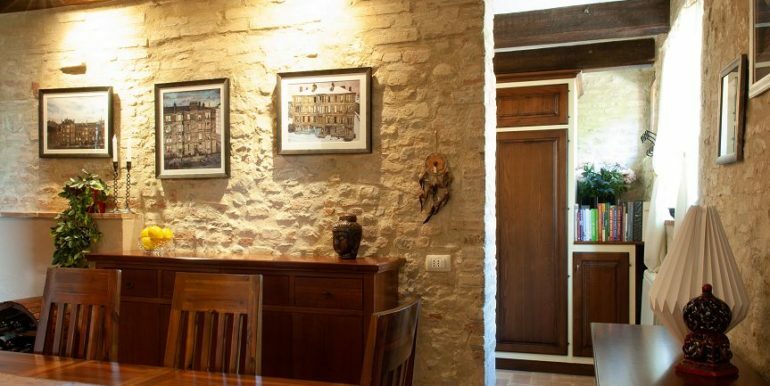 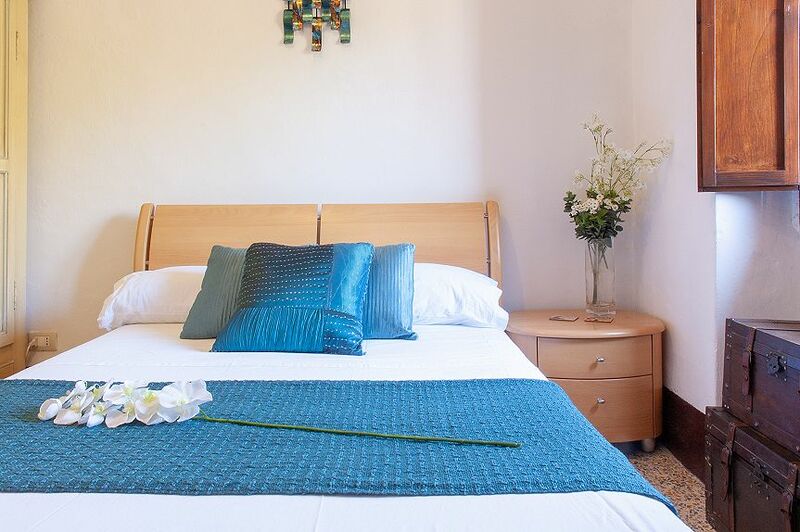 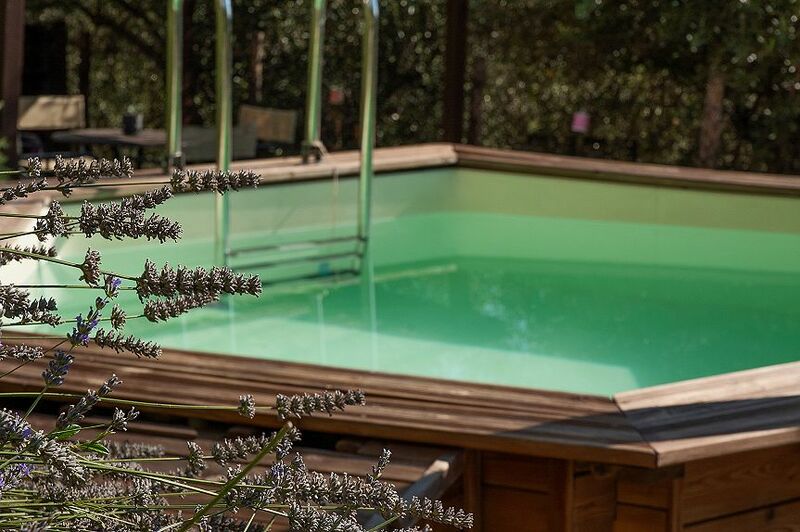 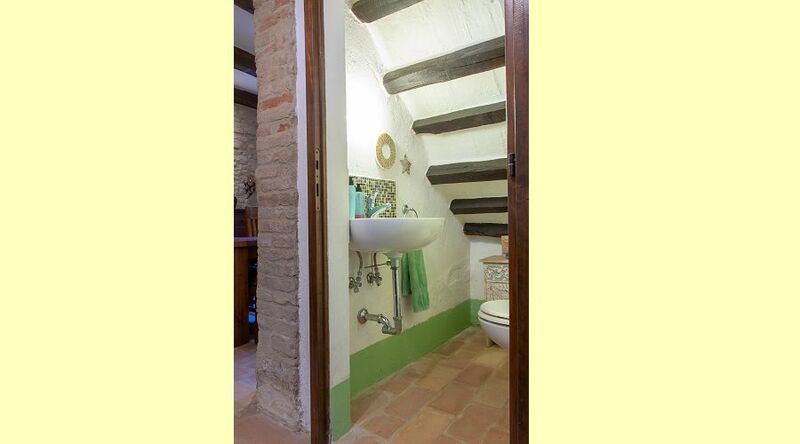 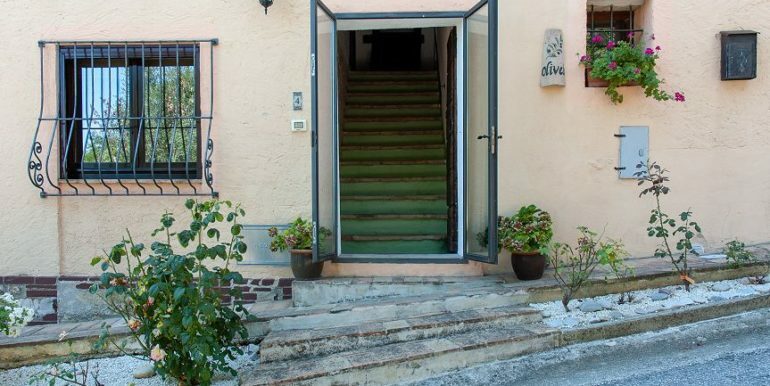 A delightful completely restored 14th century house, with a mature garden with swimming pool, located on the east side of the church of an authentic village in the Umbrian countryside with the comforts of the small village in the immediate vicinity. 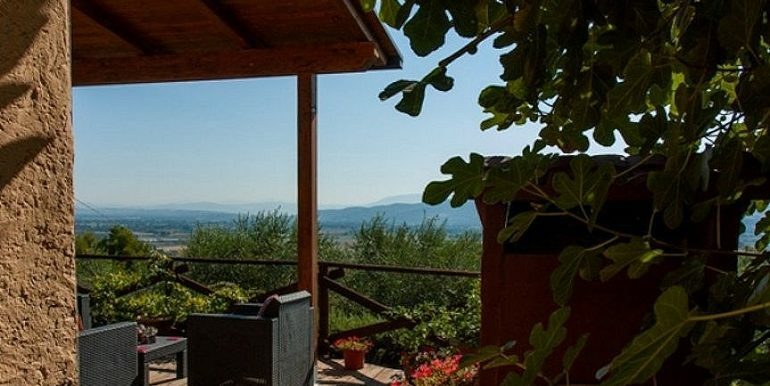 On the one hand the house offers a wonderful view of the hills and on the other one the facilities of the village. 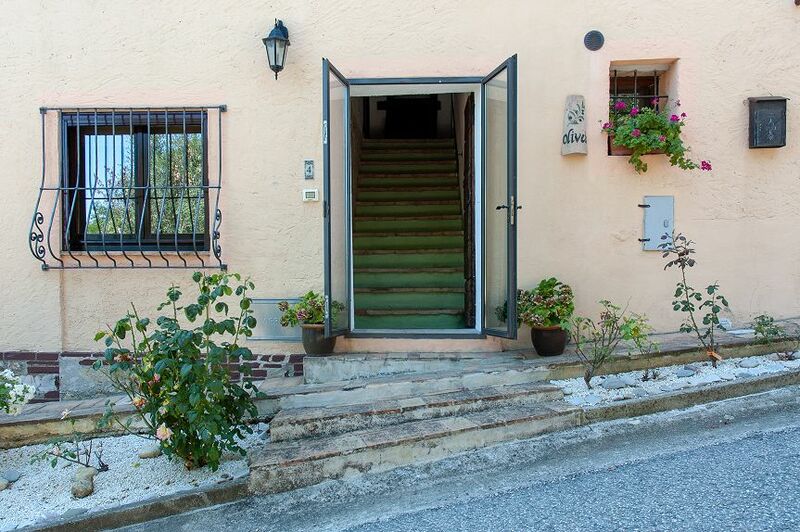 The entrance can be reached directly from the road adjacent to the house or from the church path where there is a convenient parking. 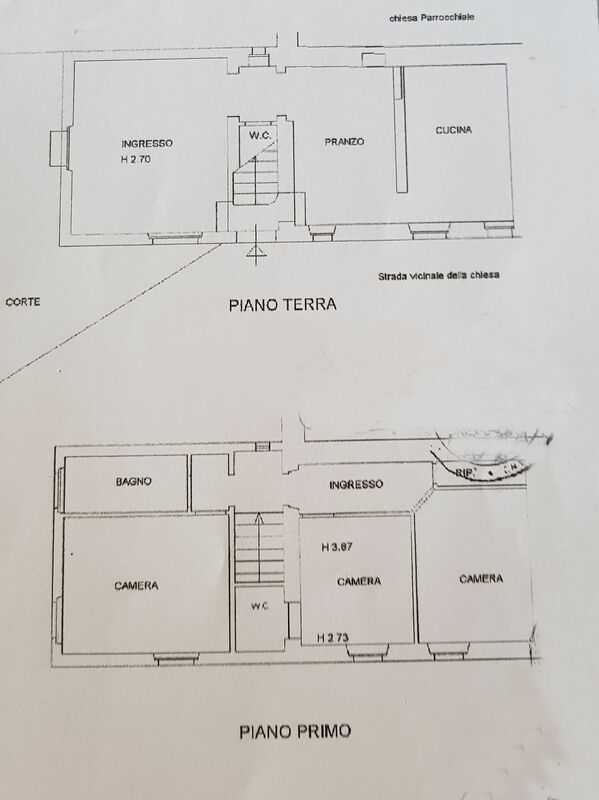 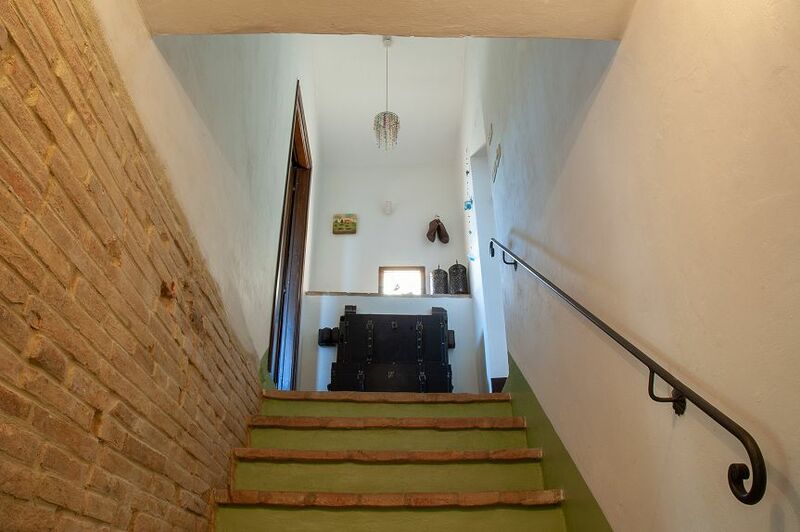 The house is in excellent condition and is ready to be inhabited. 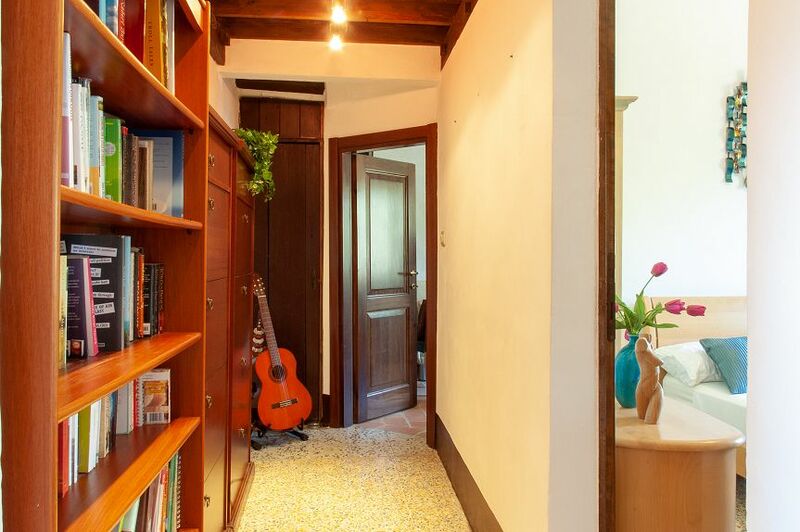 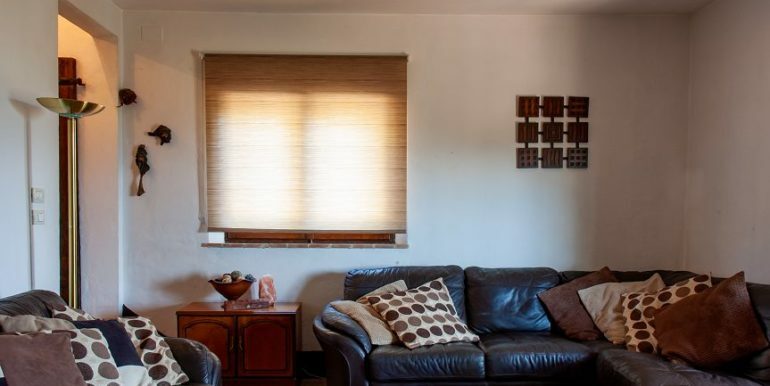 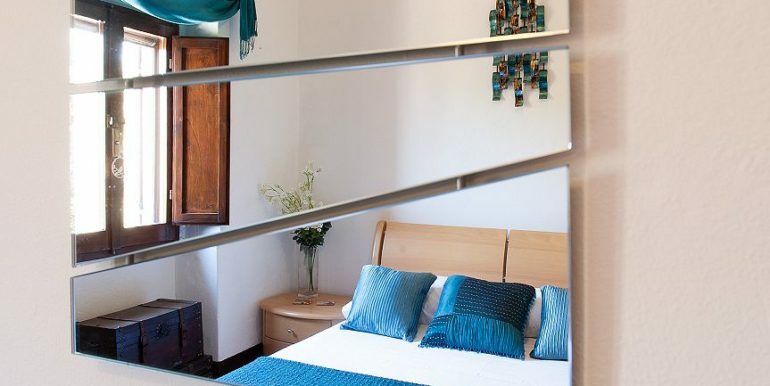 The ground floor is used as living area and is accessed via the formal entrance located on the street or from the garden. 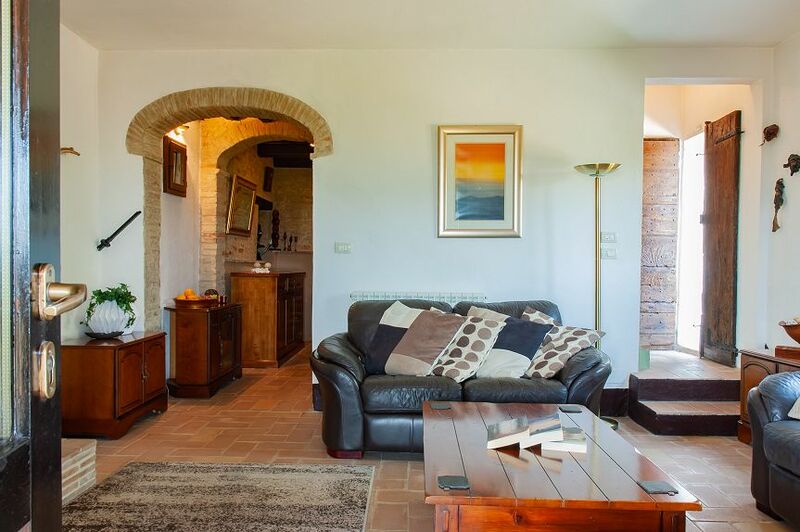 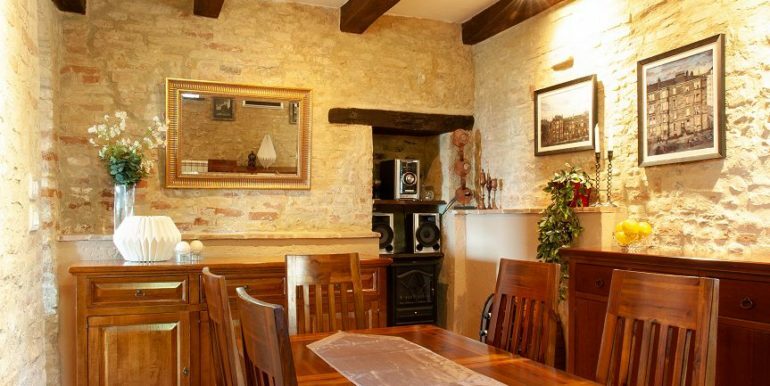 A beautiful arch connects the dining room to the living room with a panoramic covered terrace that opens onto the garden offering a wonderful view of the surrounding countryside. 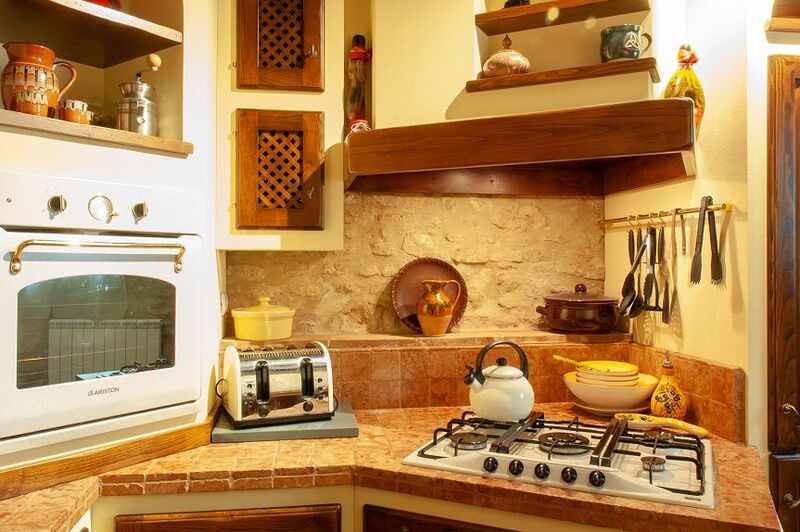 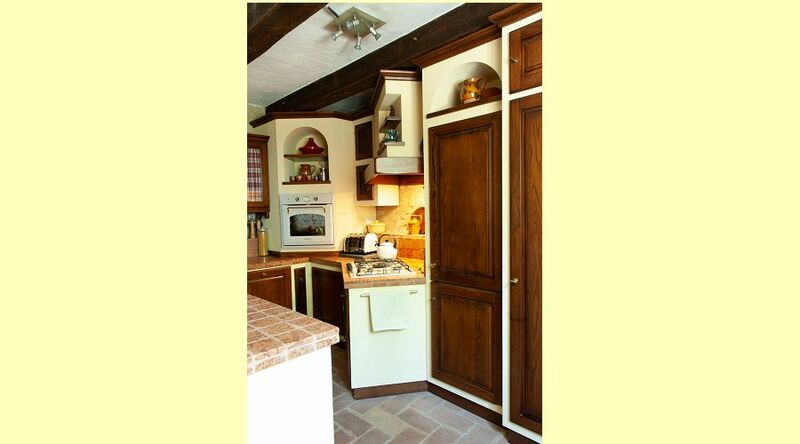 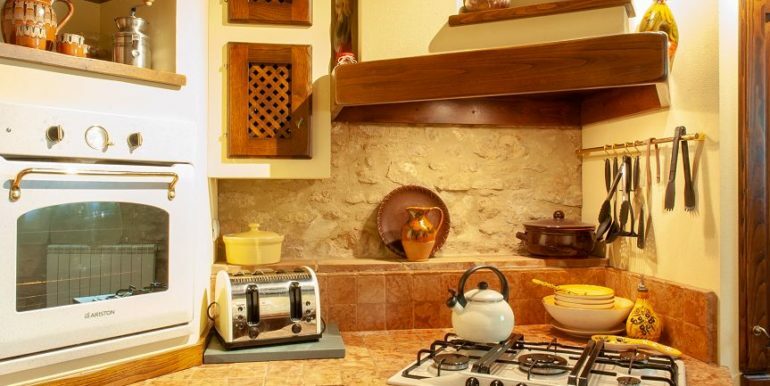 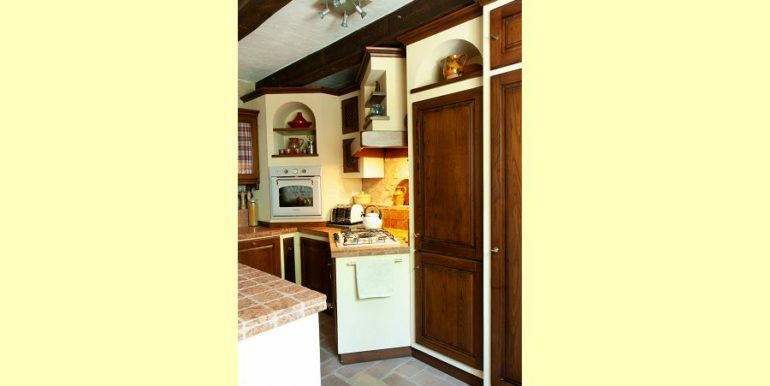 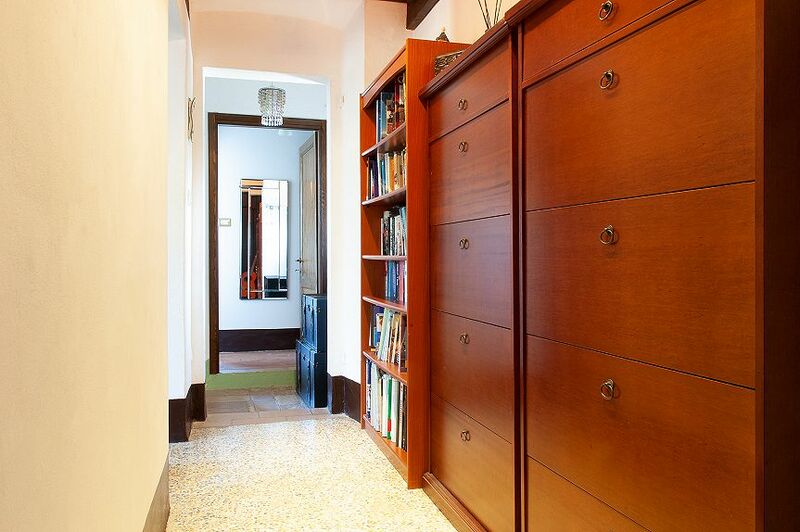 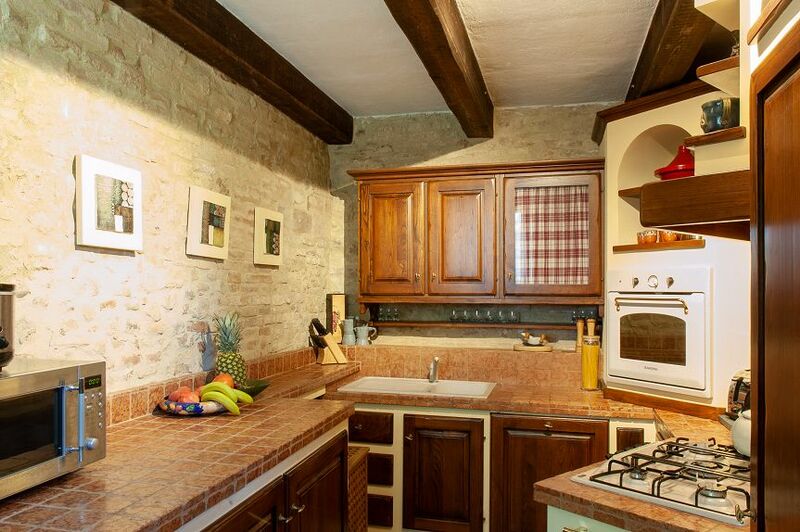 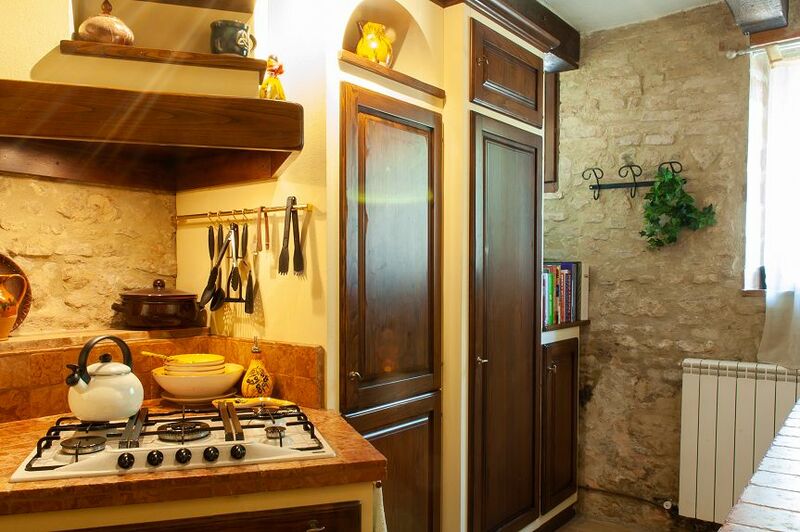 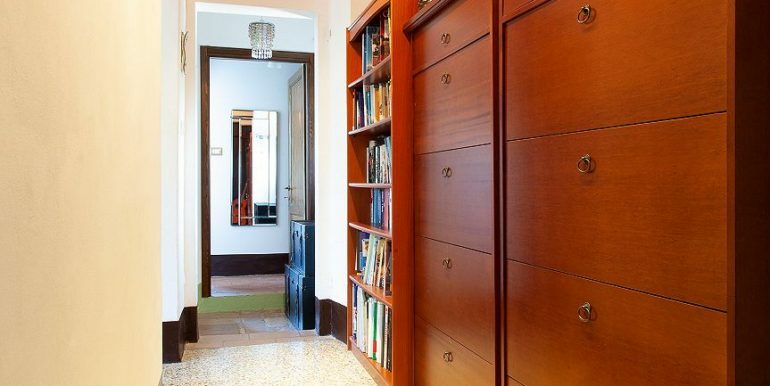 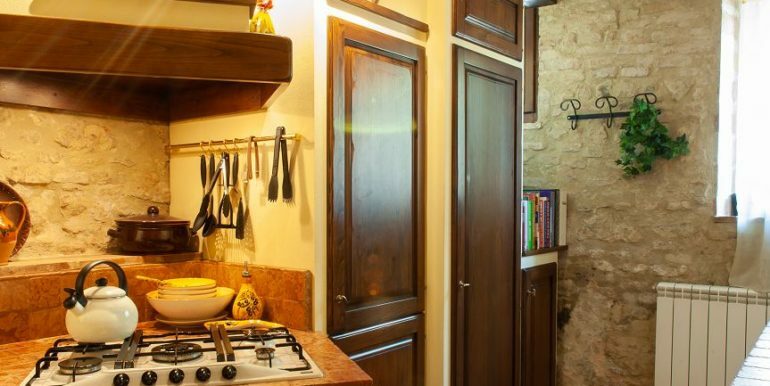 The built-in kitchen with wooden doors is complete with quality appliances. 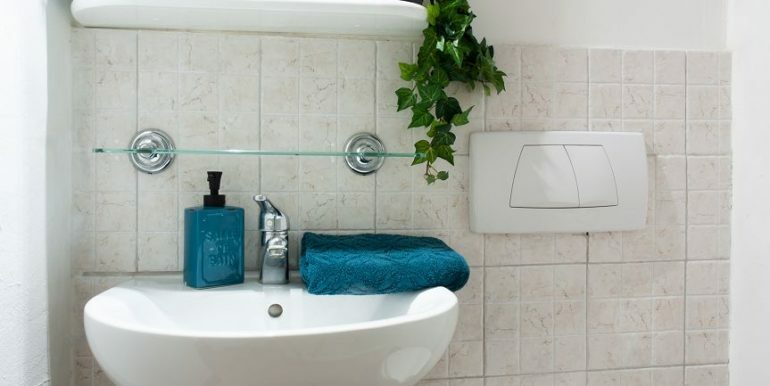 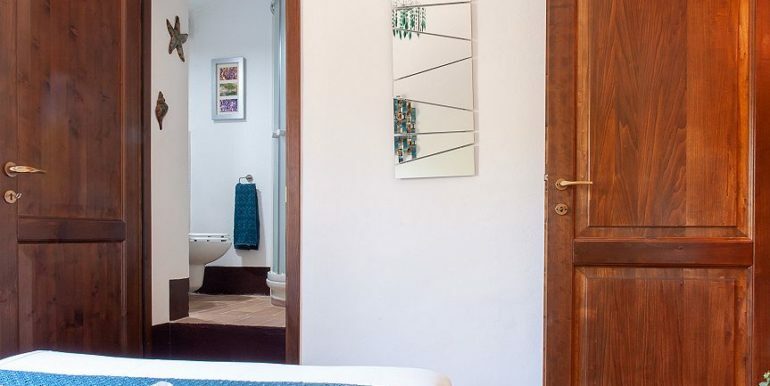 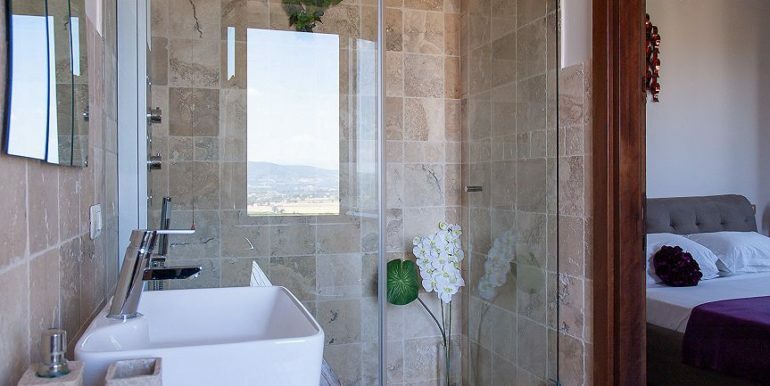 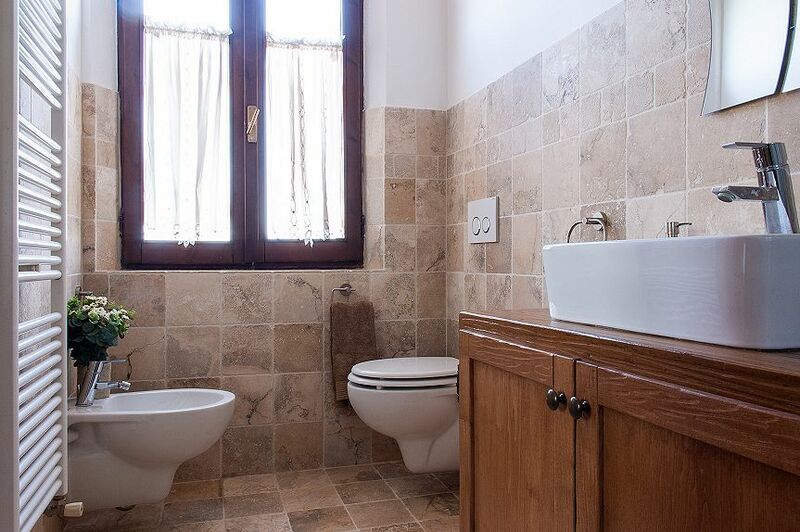 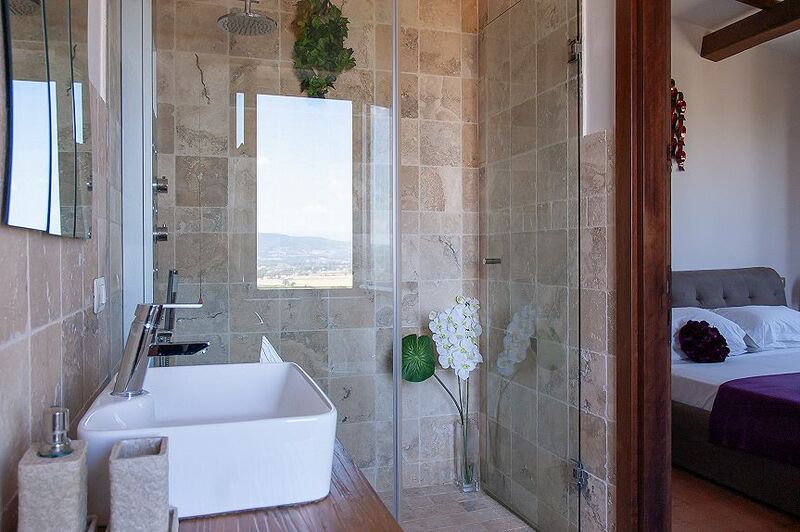 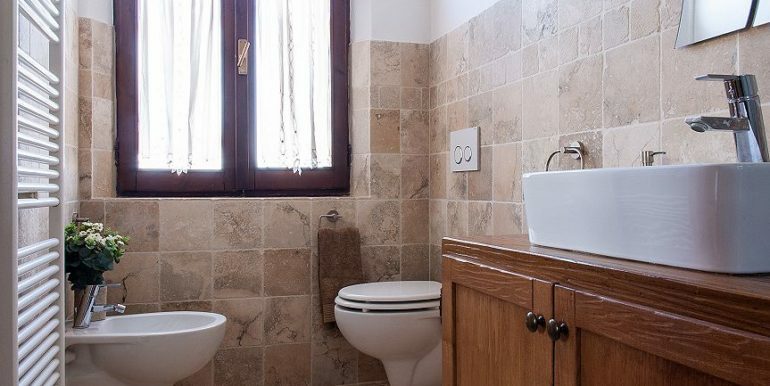 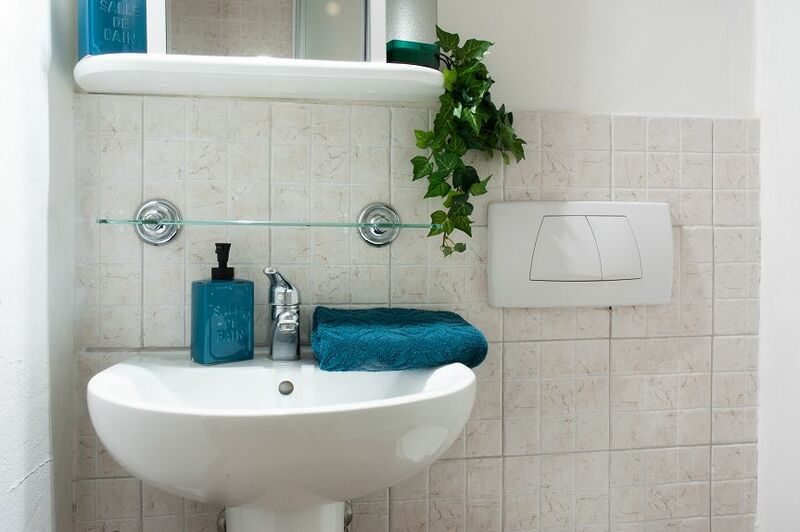 A comfortable guest bathroom completes the ground floor. 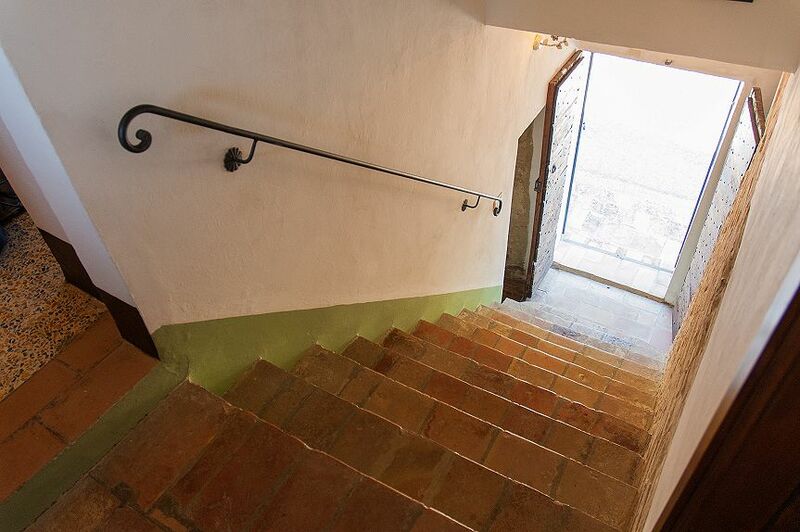 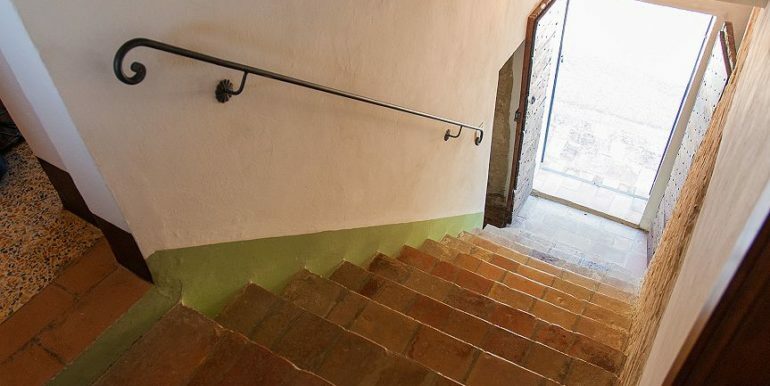 Original stone staircase leads to the first floor which hosts the sleeping area with two double bedrooms, a third bedroom now used as a study and two bathrooms. 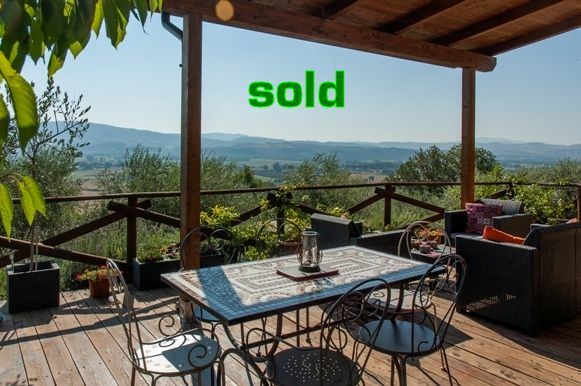 The house is sold complete with furniture. 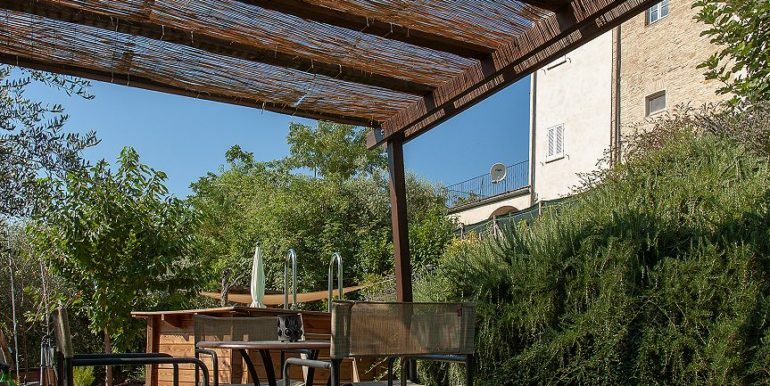 The well-tended garden of 350 square meters features mature plants, gravel paths, a hexagonal pool with wooden edges and lots of space to enjoy the view from different angles such as the pergola next to the pool or higher up from the terrace under the arcade. 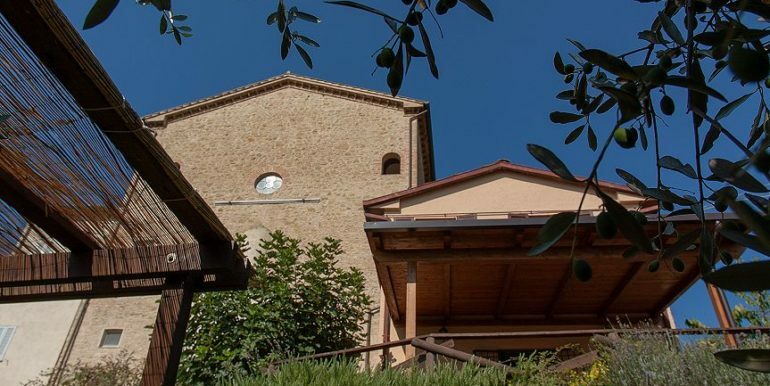 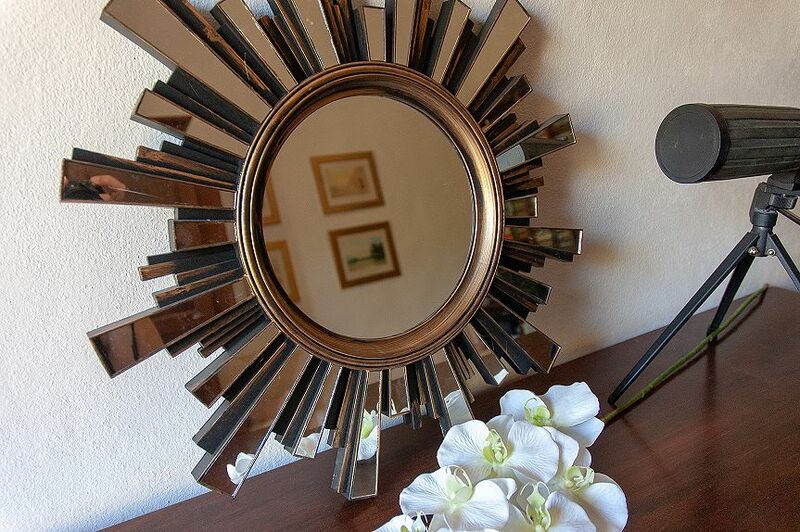 Castello delle Forme is an ancient village with an Italian and international community alive and is located in a very central position in Umbria, a few kilometers away from the E45 highway that connects Perugia to Terni, Orte and then the A1 motorway. 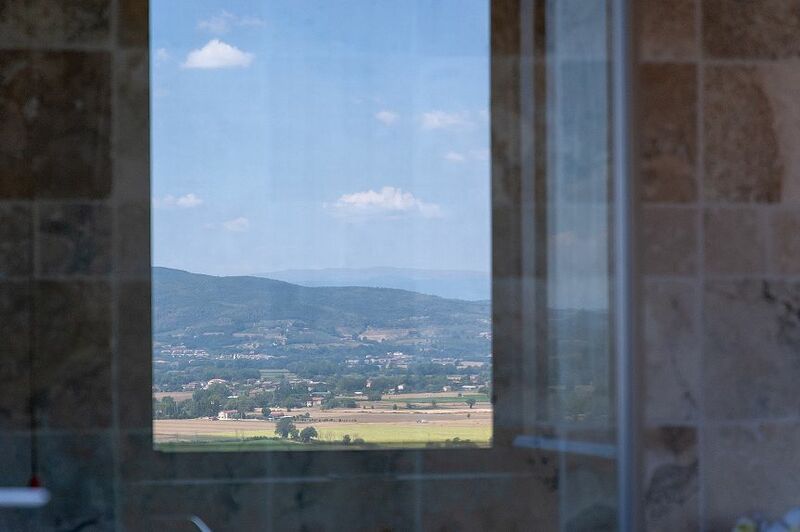 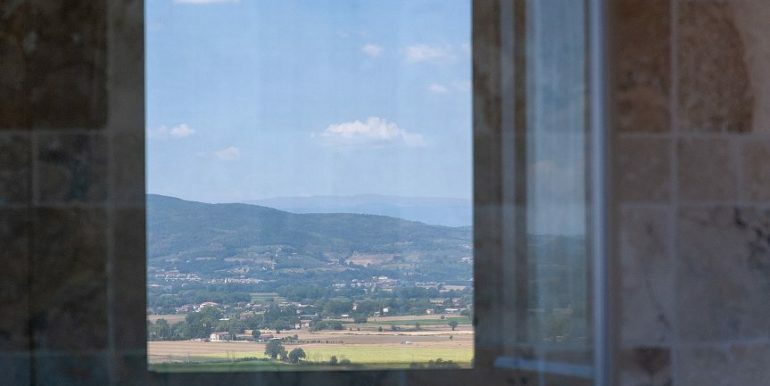 The Umbrian capital city of Perugia is only 20 kms away, other art cities such as Todi, Assisi and Spello are respectively 30, 34 and 36 km away. 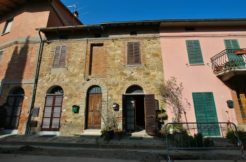 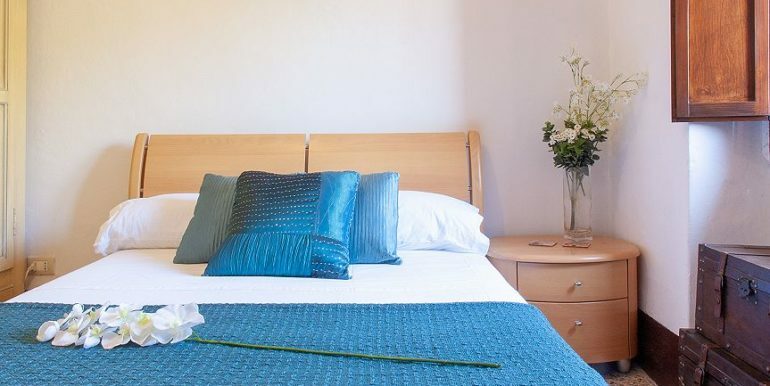 The city of Marsciano offers all the necessary services such as banks, supermarkets and other shops, bars and restaurants and is only 12 km away. 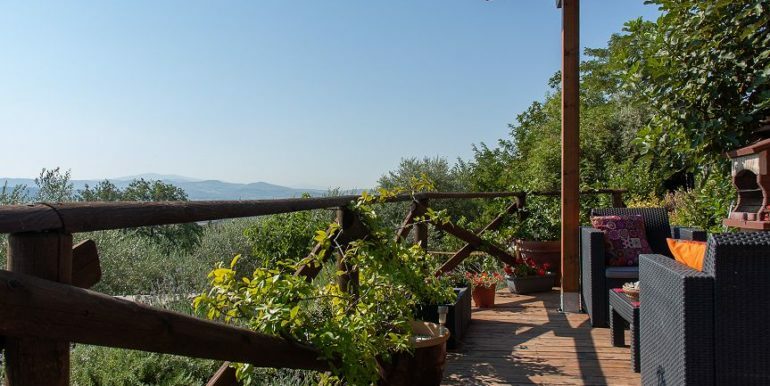 The international airport of Perugia is 24 kms away. Energy efficiency class: G, 174,85 kWh/mq annum.